The settlement relates to disputes over a severance package and a defamation case. TWO HIGH COURT actions brought by former Irish Farmers Association (IFA) general secretary Pat Smith against the association have been resolved. Smith had sought orders requiring the IFA to comply with the terms of an agreement he said he had entered into with the association in November 2015 to pay him €2 million via payments of €1 million now and a further €1 million over the next 10 years. Smith had also alleged he was defamed by the association and has issued a claim for damages, including aggravated damages. The IFA has confirmed to Fora that it agreed to pay Smith €1.55 million in respect of the severance package he pursued and €350,000 in respect of the defamation action. In a statement read to the court by counsel Mark Connaughton, SC for the IFA, it was said the IFA and Pat Smith confirm the actions over alleged breach of contract in relation to Smith’s departure from the IFA and the action relating to statements and comments made subsequent to his departure have been settled. “Mr Smith was employed by the IFA for more than 26 years and was its CEO for seven years until his employment was terminated by agreement in November 2015,” the statement said. “(The) IFA accepts that Mr Smith was a highly effective, hardworking and dedicated executive of the association who provided solid and professional leadership for farmers and the Association. (The) IFA accepts that it made certain statements in the media at the time which were defamatory of Mr Smith and regrets the damage caused to his reputation. 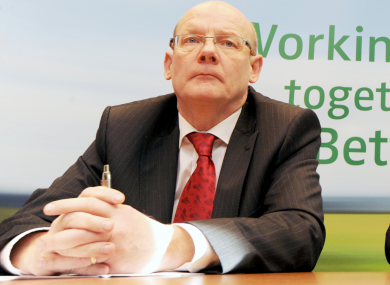 “IFA wishes Pat Smith and his family the very best for the future,” the statement concluded. The other case was aimed at securing enforcement of a 19 November 2015 agreement which Smith, represented by Tom Mallon Bl, instructed by solicitor Donal Spring, claimed was valid, effective and enforceable. Mallon told Justice Carmel Stewart that both cases were listed for hearing before the High Court, but could now be struck out on consent. The Judge welcomed the resolution of the matters. In the case over the 2015 agreement, Smith had sought orders for specific performance of that agreement or, alternatively, orders requiring the association pay him €1 million now which he claims is due in consideration of his resignation as general secretary. He also wanted it to pay him an additional €1 million via yearly €100,000 instalments. Smith, who worked for the IFA for over 25 years and became general secretary in 2009, departed the association after the IFA came under pressure to reveal his salary. It was later disclosed he was paid more than €540,000 in 2013 and more than €450,000 in 2014 and 2015. In his action over the agreement, he sought orders requiring the IFA calculate income tax and statutory deductions from the €1 million sum sought now in the most tax efficient manner that is legally permissible and pay those to the Revenue. Email “The IFA will pay its former boss €1.9m to settle his legal cases”. Feedback on “The IFA will pay its former boss €1.9m to settle his legal cases”.